The Atlante is a 570 kg, single-engined, propeller-powered UAV with a wingspan of eight metres of which the second example recently made its first flight. It is intended to fulfil a wide variety of commercial roles such as: surveillance of oil pipes, powerlines, railways, natural disasters, forest fires or sporting events. 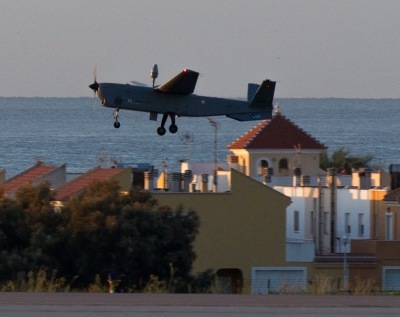 The company and EASA will now work together to develop a certification process for this new type of product, based on the process normally used for manned aircraft, which will set the standards for future UAV certifications in Europe.